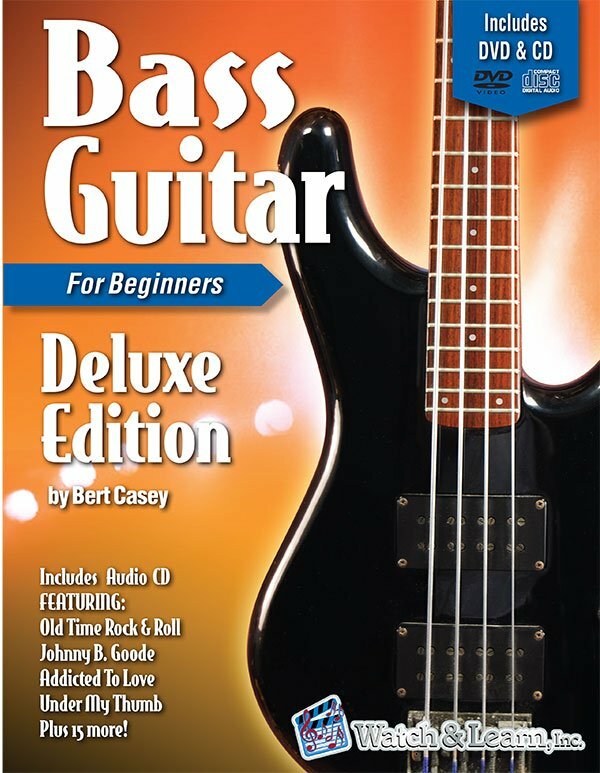 The Bass Guitar Deluxe Edition by Bert Casey is the most complete and easy to understand beginning bass guitar course available today. The course covers correct left & right hand technique as well as parts of the bass to help the absolute beginner. After learning how to play notes, you will move on to playing simple patterns and then popular songs like Johnny B Goode and La Bamba. The student will learn how to play alternating bass notes, two beat, eighth notes, walking patterns, common rock & roll riffs, and music theory as it applies to the bass. Playing along with a full band to 13 different songs helps the student learn the basics of playing bass guitar.